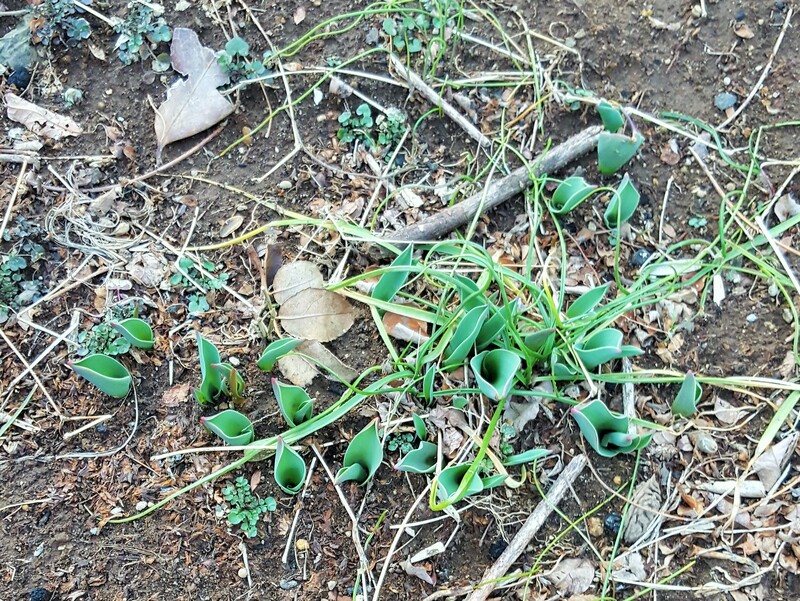 Hello tulips, it is our great pleasure to see you again in the garden. Yes, you are so short at first, bloom in miniature before growing up together. We look forward to seeing you in full size soon. 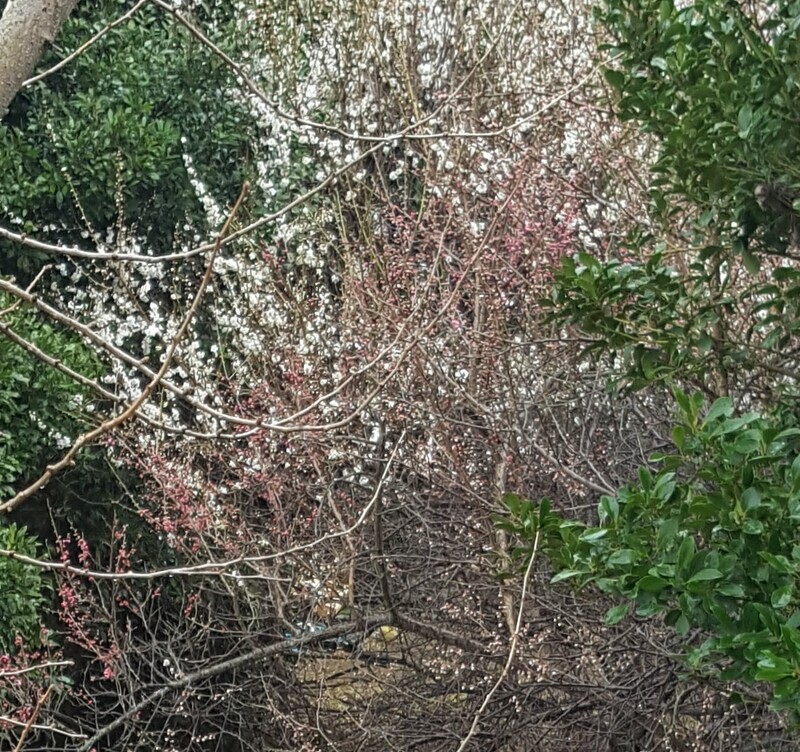 Sleepy plum in the backyard has also been awakened blown by 春一番, rushed to open their red buds into white. Only one chimerical pink-flower branch might take more time.